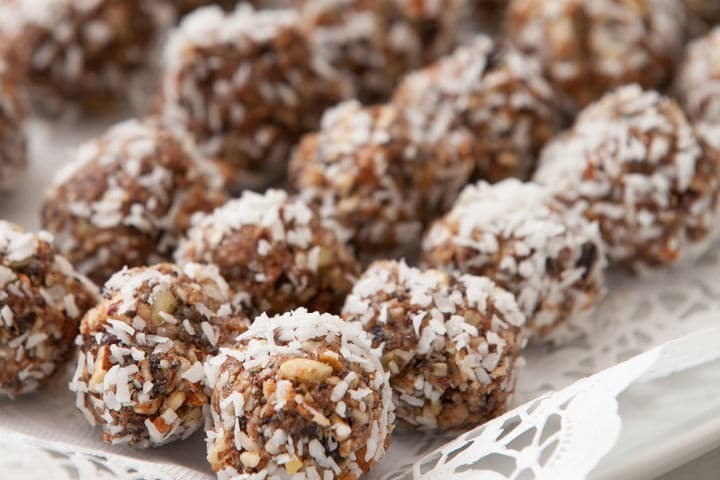 You will learn how simple it is to make these healthy protein ball snacks in this 20 second video from the lovely fitness model Angeline Norton. You can also watch me make these healthy protein snacks here in this more in-depth 4 minute video. This seriously doesn’t get any easier! 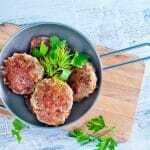 You can easily tweak the ingredients to make them a paleo snack if you follow a strict paleo diet too. Angeline: I purposely only used 4 ingredients to show how easy it is to make them (but you can be as creative as you like with these). They are an ideal snack in between meals and help curb the 3pm sugar cravings. We use rice malt as it is fructose free (very important). Mix the dry ingredients in a large bowl, then pour the melted coconut oil and rice syrup and roll into small balls. Place in the refrigerator for at least 30 minutes to harden. You can also keep in the freezer and take them out as you need them for your lunch box through the week. Big thanks to Foodie Fitness Girl for the recipe! Follow her latest updates on her Facebook page here.